The contest is being run by classwish.org. Stars for Schools helps bring awareness to the 56 million kids and their teachers who need more than a barren classroom to survive. They need school supplies. That’s where ClassWish comes in. ClassWish helps get kids the tools they need to thrive. 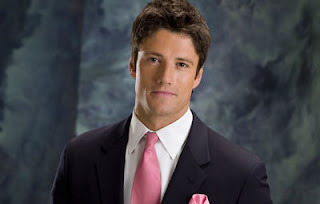 Days of Our Lives has generously agreed to participate with their two top stars: Joe Mascolo and James Scott. Soap Opera Digest has offered a page in their magazine to showcase the winner! The prize: A lucky Days fan will fly to LA, get a VIP tour of the Days studio, then go onto the set, meet Stefano and EJ, have their picture taken with them, and then appear together with them full-page in Soap Opera Digest. I’m so glad you posted about this chance to meet EJ and Stefano at http://ClassWish.org/Days. I'm so excited and I want to thank you for sharing this! It is good to see that Stefano and EJ are doing good by giving fans a tour of the Days Set, and appearing with them in a full-page layout in Soap Opera Digest!!! Hes so cute! Ill be sure to check it out! Diva's episode 47 ready for playback! Diva's 47th episode with special guest! Matt Ashford finally spotted on set! Tom Casiello interview ready for playback!